Today, Maya MacGuineas, president of the Committee for a Responsible Federal Budget and head of the Campaign to Fix the Debt, told Congress dozens of lies — O.K., “incorrect non-facts.”. The primary purpose of these “incorrect non-facts” is to support the myth that somehow our Monetarily Sovereign federal government will run short of dollars to pay its bills, and therefore, spending (especially social benefit spending) must be cut. This myth is exactly what the rich want you to believe, so they can reduce your Social Security, cut your Medicare, eliminate poverty prevention and cure, worsen education for your children, and destroy many of the other benefits to the middle-income and the poor. The following represent just a few excerpts from her MacGuineas’s speech. 1.The national debt is on an unsustainable path. 2.There are many reasons to care about the debt, ranging from detrimental effects on the economy, to interest payments crowding out the rest of the budget, to the economic, political, and security vulnerabilities of such a large debt. 3.There are many approaches Congress can take to fix the debt, but we must stop denying the problem, stop making it worse, and begin to address it. The so-called national “debt” actually is the total of everyone’s (yours, mine, China’s) deposits into all our Treasury security accounts. As these deposit accounts mature, the federal government pays them off by returning to our checking accounts the dollars that are in the accounts. (The dollars remain in our T-security accounts until maturity. The federal government, being Monetarily Sovereign, neither borrows nor uses these dollars. It creates new dollars every time it pays a creditor). Thus, paying off the so-called debt is no burden on the federal government or on taxpayers. It simply is a money transfer from one (T-security) of our accounts to another (checking) of our accounts. Tax dollars are not involved. But, in that same 1940 – 2018 period, the Gross Domestic Product has grown from $102 Billion to more than $20 Trillion. Yet still, we hear the obviously wrong incessant claim that the federal “debt” (deposits) is unsustainable. To make matters worse, debt is expected to grow drastically in the coming decades. According to the Congressional Budget Office (CBO), debt under current law will grow from 78% of GDP this year to exceed the size of the economy in just 13 years and reach an unprecedented 152% of GDP in 30 years. Our estimates suggest debt under current law will reach 358% of GDP in 75 years. The federal “debt” / GDP ratio is meaningless. The “debt” is not paid off with GDP. The two are unrelated. Japan, a wealthy nation, had a debt / GDP ratio of 253% in 2017, yet its debt remains “sustainable. Putting debt on a sustainable path will require significant deficit reduction. •Simply holding debt at today’s near-record as a share of GDP (78%) would require savings of $4.8 trillion of spending cuts and/or tax hikes over the next decade. •Balancing the budget in 2028 would require about $7 trillion in savings over ten years. •Reducing debt to its historical average of 41% of GDP in 30 years would require $7.6 trillion in deficit reduction over ten years. •And waiting just ten years increases the size of the adjustments by half. And recessions begin with reductions in deficit growth. Blue line = deficit growth. Vertical gray bars = recessions. Recessions are cured by increases in deficit growth. The reason for this effect is simple: Deficits add dollars to the economy, and these added dollars are necessary for economic growth. •Slower economic and income growth due to debt crowding out private sector investment. As the government issues more debt, investors buy these bonds in place of private investment. Over time, this results in a smaller stock of buildings, machines, and equipment; fewer new ventures and new technologies; and slower wage growth. CBO estimates average income will be $6,000 ( 6%) lower in 2048 if we allow debt to rise rather than reduce it to historical levels. Completely false. There is no crowding out. Higher debt results from federal deficit spending which adds investment dollars to the economy. That is why massive debt growth has paralleled massive economic growth. MacGuineas ignores these obvious facts. •Higher interest rates on loans for households and businesses. Rising federal debt tends to put upward pressure on interest rates throughout the economy. This increase trickles into business and consumer loans, making it more expensive for Americans to take out mortgages, car loans, and credit card debt – not to mention small business loans and other borrowing that helps grow the economy. Interest rates have remained low in past years despite growing debt due to Federal Reserve accommodation and a slow recovery, but there is a very strong risk those conditions will and have started to change as the economy has gotten stronger, the Federal Reserve tightens monetary policy, and we come closer to full employment. Further, federal debt does not cause inflation, which instead is caused by shortages. Historically, they have been shortages of food, but more recently, they have been shortages of oil. See: Federal deficit spending doesn’t cause inflation; oil does. •Higher government interest payments that displace other government priorities. Due to rising interest rates and an increasing stock of debt, interest payments are projected to be the fastest growing part of the federal budget. Under current law, interest costs will tripleover the next decade. As a result, interest costs will exceed Medicaid spending by 2020, defense spending by 2023, and total discretionary spending by 2045. We estimate that before 2050, net interest will be the single largest line item in the budget. In the above comment about “displacing other government priorities,” MacGuineas makes the tacit and false assumption that the federal government can run short of its own sovereign currency, the U.S. dollar. Because our Monetarily Sovereign federal government has the infinite ability to create dollars, the notion of “displacing” makes no sense. Clearly, MacGuineas either does not understand Monetary Sovereignty, or she doesn’t want you to understand Monetary Sovereignty. •Reduced fiscal space for the government to react to wars, recessions, or other emergencies. It is impossible to predict the timing of the next recession. However, the fact that one has not occurred in the last nine years suggests another may be on the horizon. Unless there is a dramatic reduction in debt, we will enter the next recession with the highest debt in nearly 70 years (and higher than any time prior to World War II). This leads to legitimate concerns about the available “fiscal space” in the U.S., or the federal government’s financial capacity and willingness to respond to emergencies. While it is impossible to know the precise amount available, the U.S. almost certainly has less fiscal space today than it did a decade ago, and it is projected to have even less in the coming years. The U.S. is less equipped to handle the next recession than it was in handling the Great Recession. The “precise amount available” is infinite. That is why it’s impossible to know. The “fiscal space” argument is identical with the “displace other priorities” argument. Again, MacGuineas wants you to believe the federal government can run short of its own sovereign currency. While you and I, and the cities and states, and even the euro nations can run short of money, the U.S federal government cannot unintentionally run short of dollars. •Lost opportunities to make thoughtful investments or reforms. Rising debt hinders our ability to enact good public policy. Whether you care about strengthening the military, developing clean energy, reducing burdensome taxes, or investing in education and infrastructure, rising debt will crowd it out. Thanks to the increasing debt burden, next year the country will spend more on interest than on children, which means we will be spending more on financing our past than investing in our future. And there are many new issues on the horizon, from the effects of technology to the future of work to new types of global threats that we are only just developing the capacity to withstand. As time goes on, we will increasingly lose the capability to address our debt situation through thoughtful, gradual, and targeted tax and spending reforms. At some point in the near future, our debt will be so high we will have to forgo new ideas and impose blunt spending cuts and tax hikes. •Risk of an eventual fiscal crisis if changes are not made. The combination of our strong economy, steady monetary policy, and longstanding commitment to pay our debts has allowed us to amass significant debt without severe consequences. This will not last forever. Unsustainable debt may eventually lead some investors to demand higher interest rates, which could set off a chain of events that begins with a small selloff of existing federal bonds and ends with a global financial crisis. No one knows what level of debt or combination of events would set off such a crisis ; I hope we will never have to find out. In any event, the Treasury does not need to sell bonds to obtain dollars. It has an infinite supply of dollars. To provide a safe place to “park” unused dollars. This safety helps stabilize the dollar. To assist the Fed in controlling interest rates, which helps fight inflation. Thus, the reasons for issuing of federal debt (aka “borrowing”) are quite unlike the reasons why you and I borrow. Our Monetarily Sovereign federal government could stop issuing debt today — even stop collecting taxes today — and still retain the unlimited ability to pay for goods and services, forever. Those unconcerned about our rising debt have sometimes pointed to the built- up debt in recent years as evidence that the United States can borrow with little consequence. That’s a mistake. China owns $1.1 trillion of U.S. debt. Trade and other tensions with them can certainly affect their lending decisions. Moreover, given our unstable political relationship with China, it is less than ideal to be as dependent on them as we are for funds. Japan, which holds another $1 trillion of our debt, has also halted net purchases – possibly due to its aging population. As the population continues to age, this nation of savers is likely to draw down its savings to finance retirement and therefore have fewer assets available to purchase U.S. debt. Currently, foreign investors and governments own about 40% of the publicly traded debt, a percentage that has decreased in recent years as China and Japan have pulled back and forced domestic investors to finance our debt instead. As we’ve said, the federal government does not need to sell debt to anyone — not to China, not to Japan, not to you or me, not to anyone. Further, “domestic investors” are not forced to do anything. I know of no “forcing” device the federal government uses to sell T-bonds. It’s all nonsense. The primary drivers of long-term debt are growing mandatory spending and the lack of revenue to pay for it. Over the next ten years, 82% of spending growth will be due to Social Security, health programs, and interest payments. Mandatory spending, specifically the costs stemming from an aging population, remains the largest long-term problem to address. Congress should have offset the increased discretionary funding with mandatory cuts and revenues that led to growing deficit reduction over time. The fastest growing parts of the budget are Social Security, health programs like Medicare and Medicaid, and interest payments on the debt – each of which does not go through the annual appropriations process and is growing faster than the economy. Mandatory spending and interest have already grown from 61% of the budget in 2010 to 69% today, and they are projected to be at 77% in 2028. Get it? Her pay comes from the wealthy. So, on behalf of the wealthy, she wants the government to cut Social Security, Medicare, and Medicaid, programs that are vital for the middle classes and the poor, but mean little to the rich. In short, the rich want to widen the Gap between the rich and the rest, and MacGuineas acts as their mouthpiece. One of the many reasons this concerns me is the extent to which it has squeezed productive investments. The best first step our leaders could make is to pledge to not make the debt situation worse(unless there is a smart reason to borrow such as a recession). “Squeezed productive investments” is yet another synonym for “hinders our ability,” “crowding out,” and “reducing fiscal space.” It’s completely phony when referring to a Monetarily Sovereign government. And notice she acknowledges that deficit spending is good during a recession (because deficit spending grows the economy), but she doesn’t want to grow the economy unless we have a recession. That’s totally illogical. Lawmakers should focus on making changes to two of the largest drivers of our long-term debt problem: health care spending and Social Security. Reforms in these areas have the most potential for significant savings, and it would be between difficult and impossible to control our debt problem without making changes to these programs. The largest driver of future costs is health care. The other major area needing attention is Social Security. The program’s trust fund is on track to exhaust its reserves by 2034, at which point benefits will be cut by 20% to 25% without legislative action to stop it. Starting this year, the Social Security trust fund is being drawn down to pay benefits, meaning that the government must borrow from elsewhere so that Social Security can redeem its trust fund reserves. In other words, Social Security is increasing the current deficit and will continue to do so dramatically in the future if the program is not reformed. We can fix this program by adjusting benefits, raising revenues, or both. The Supplemental Medical Insurance fund, which pays for Medicare Part B and Part D benefits, is funded by Congress. It doesn’t rely on a “trust fund.” Congress directly authorizes what funds are needed. Second, “raising revenues: means increasing FICA, which is deducted from salaries. The rich, who do not receive most of their income via salaries, don’t care about FICA, and in any event, the salary from which FICA is deducted is a comparatively piddling $100K. This all demonstrates that the federal government has the unlimited ability to fund Social Security and Medicare forever, with no trust funds and not even a FICA tax. The rich, who run America, want to widen the Gap between them and the rest of the populace. It is the Gap that makes them rich. Without the Gap, we all would be the same, and the wider the Gap, the richer they are. They just don’t want you to know it. They want you to believe the government can’t afford to pay for benefits like Medicare for All, free college for all, and anti-poverty initiatives. They certainly don’t want you to ask for the Ten Steps to Prosperity (below). Federal finances are different from your personal finances. They also are different from city, county, and state finances. And they are different from business finances. The U.S. federal government cannot unintentionally run short of its own sovereign currency, the U.S. dollar. The federal government does not use or need tax income, in order to pay its bills. The federal government cannot become insolvent, no matter how high its financial responsibilities. In short, even if all federal tax collections were $0, the federal government could continue paying its bills, forever. Yet the AARP, repeatedly spreads the false idea that federal finances are like personal finances and so, Social Security can run short of dollars. Here’s why: For decades, Social Security collected more money than it paid out in benefits. The surplus money collected from payroll taxes each year got invested in Treasury securities; today, the trust fund reserves are worth about $2.89 trillion. But as the birth rate has fallen and more boomers retire, the ratio of workers to Social Security recipients is changing. This year is a tipping point: The program will need to dip into its reserves to pay full benefits from this point forward, absent any change to the program. It’s now forecast that the trust fund reserves could be exhausted in 2034. “The longer we wait to fix Social Security funding, the more the cost will be paid by the younger generations, either on the tax side or the benefits side,” says Kathleen Romig, a Social Security analyst at the nonpartisan Center on Budget and Policy Priorities. From the Bureau of the Fiscal Service, U.S. Department of the Treasury: The Federal Government uses the term “trust fund” differently than the way in which it is commonly used. In common usage, the term is used to refer to a private fund that has a beneficiary who owns the trust’s income and may also own the trust’s assets. A custodian or trustee manages the assets on behalf of the beneficiary according to the terms of the trust agreement, as established by a trustor. Neither the trustee nor the beneficiary can change the terms of the trust agreement; only the trustor can change the terms of the agreement. In contrast, the Federal Government owns and manages the assets and the earnings of most Federal trust funds and can unilaterally change the law to raise or lower future trust fund collections and payments or change the purpose for which the collections are used. It has the unlimited power to add dollars, deduct dollars, or do anything else it wishes. 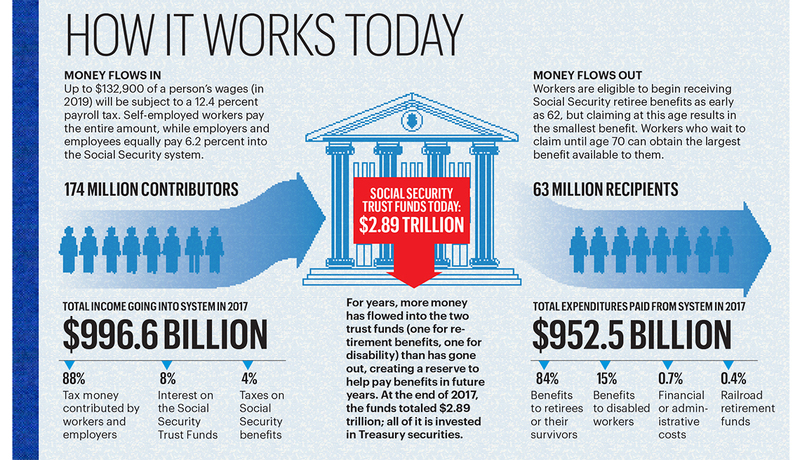 It could eliminate the “trust fund” and the FICA tax completely, and still continue to pay Social Security benefits. Several members of Congress have proposed legislation to address the program’s long-term funding issues. But given the deep political divides on Capitol Hill, it’s unlikely that Congress will make any effort to reform Social Security until there’s the possibility of bipartisan support. There are concerns that the tax-cut legislation passed in late 2017 could lead some lawmakers to look for places where they might cut spending. “The stage has been set by the tax bill to take another run at Social Security, Medicare and Medicaid,” says Max Richtman, CEO of the National Committee to Preserve Social Security and Medicare. Here, the myth is that taxes, especially FICA, pay for Social Security benefits. Though state and local taxes do fund state and local spending, federal taxes pay for nothing. In fact, federal taxes are destroyed upon receipt at the U.S. Treasury. and all payments are made with new dollars created ad hoc. One proposal is to either raise or eliminate the wage cap on how much income is subject to the Social Security payroll tax. In 2019, that cap will be $132,900, which means that any amount a worker earns beyond that is not taxed. Remove that cap, and higher-income earners would contribute far more to the system. Other options lawmakers might consider include either raising the percentage rate of the payroll tax or raising the age for full retirement benefits. All of the above options are completely unnecessary. None of them would add even one cent to the federal government’s ability to fund Social Security benefits. Another common myth about Social Security is that Congress and the president use trust fund assets to pay for other federal expenses, such as education, defense or economic programs. That’s not accurate. The money remaining after the Social Security Administration (SSA) has paid benefits and other expenses is invested directly into U.S. Treasury securities. The government can use the money from those securities, but it has to pay the money back with interest. Via fictional bookkeeping, the government arbitrarily increases and decreases balances in “trust fund” accounts and Treasury Security accounts. None of this affects, even to the slightest, the federal government’s ability to fund Social Security benefits. Then, we are treated to the following graph, which would apply to a personal trust fund, but is entirely fictional when describing federal finances. In Summary, Social Security is a federal agency. Because the U.S. government is Monetarily Sovereign, and so cannot run short of its own sovereign currency, the U.S. dollar, no agency of the federal government can run short of dollars unless Congress and the President will it to. None of these acts will improve Social Security’s solvency, which is infinite . The federal government doesn’t want you to understand the above, lest you demand more benefits. Why doesn’t the government want you to have more benefits? Because of Gap Psychology. You can read more about that, here. Modern Monetary Theory (MMT) and Monetary Sovereignty (MS) are united by the understanding that a Monetarily Sovereign government cannot unintentionally run short of its own sovereign currency. Thus, the U.S. federal government, unlike state and local governments, which are monetarily non-sovereign, neither needs nor uses tax dollars to fund its spending. Federal taxes may find purpose in helping to direct the economy by making some products and services more or less attractive, but federal taxes do not provide spending funds. Even if federal tax collections were $0, the federal government could continue spending forever. Further, being sovereign over the U.S. dollar, the federal government has the unlimited ability to set the value of the dollar i.e. control inflation. 1. When taxes are reduced, the value of money falls? 2. If taxes were zero, the value of money would be zero? 3. Do cryptocurrencies, which are not supported by taxes, have no value? The answers: No, no, and no. Specifically, what does “anchors” mean? 1. Since JG does not currently exist, is the U.S. dollar “unanchored”? 2. Does providing college graduates with low-intelligence, ditch-digging jobs enhance price and financial stability? 3. Is forcing people to work morally and economically superior to giving them money and benefits? Again, no, no, and no. We often have criticized the JG here, here, here, and elsewhere. JG is an impractical, obsolete concept, more suited to the Industrial Age than to the current and future Artificial Intelligence (AI) age. Translation: JG sets salaries at a single, low level, where raises are not allowed, but provides jobs at those levels where none are available. Is this what our nation needs? According to Randall Wray, the essence of MMT is JG, and according to Bill Mitchell, the JG is a buffer stock (of human labor) mechanism to control inflation. Thus Modern Monetary Theory adherents believe the central economics problems addressed by MMT primarily involve employment and unemployment. Supposedly, the Jobs Guarantee (JG) and a “buffer stock” control over inflation are the key solutions to what ails an economy. By contrast, Monetary Sovereignty (MS) suggests that providing a job to each person who wants money already is an outmoded view, as robotics augmented with Artificial Intelligence (AI) increasingly demonstrates every day. The notion that humans must labor in order to receive the fruits of an economic system reflects a combination of biblical work ethic applied to increasingly obsolete manufacturing methods. On the horizon lurks the day when very few people will be “employed,” as we now understand the term. 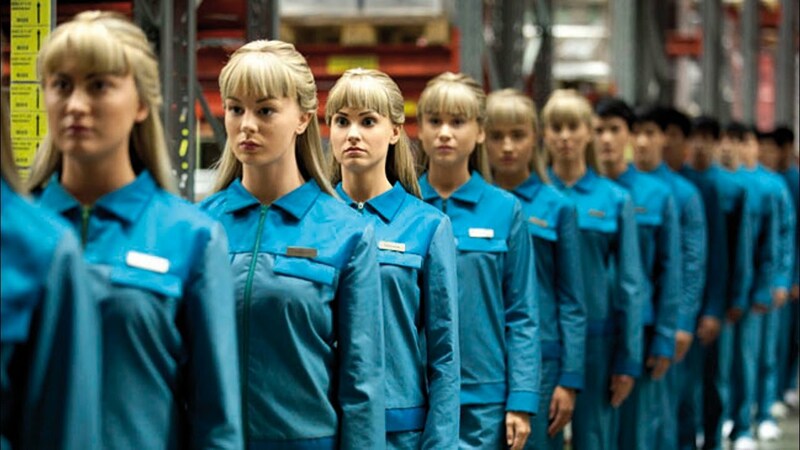 Machines will do the vast majority of the work, and people will reap the benefits, without human labor. Why focus on work when we should focus on benefits? In short, employment is not what people crave. Rather, they crave money, or more specifically people crave what money can buy. The central economics problem addressed by MS, is the widening income/wealth/power Gaps between the richer and the poorer, and it is the Ten Steps to Prosperity (below), not JG, that addresses those gaps. (There’s an old line that goes something like this: “Not many people die whispering, ‘I wish I had spent more of my life in the office.'”). JG doesn’t address fundamental human desires. It ignores them. 1. The JG should pay a living wage with good benefits. In line with other progressive proposals, the JG wage should establish a national minimum wage at $15 per hour, with free Medicare-style healthcare. It should also provide free childcare to enable parents to participate in the program. Because you don’t work, you get no money. A “living wage” is not, and never can be, “a national minimum wage” of any specific amount. A “living wage” (whatever that term may mean) in Manhattan or San Francisco is considerably different from a living wage in a Mississippi town. Further, while adding Medicare and childcare makes JG more palatable, they are not intrinsic parts of JG. They are parts of the Ten Steps to Prosperity. What about free education, and why not offer “Medicare-style” benefits to those not participating in JG? Is there a moral objection? 2. Congress will appropriate the necessary funds to pay program expenses. No additional taxes will be levied. Correct: Federal taxes do not fund federal spending. No federal program ever requires taxation. 3. The JG should be universal in the sense that it serves every community, offering jobs where people live and providing real benefits to their communities. Here is where the academic ignorance of reality comes to play. Exactly how will the government be able to “offer jobs where people live”? How will JG offer jobs in every city, every town, every village and every hamlet in every state in the U.S.? I may have missed it, but I have not seen an MMT description of the department structure and mechanism by which the U.S. government can accomplish this task. It’s a pie-in-the-sky wish, not a plan. 4. The JG should not devolve to either workfare or welfare. The social safety net should not be dismantled; no existing social services should be eliminated. Individuals should be able to continue to receive existing benefits if they do not want to work in the JG program. But workfare is exactly what JG is. You must work at a minimum-wage job, to get money and many social benefits are contingent on employment and income. All those laws would need to be changed, somehow. At the same time, the JG should not provide income support to those that do not work in the program. The JG should be seen as an employment program in which workers are paid for work. The program should have visible benefits to communities so that the workers in the program are recognized as making positive contributions in return for their wages. The program’s purpose is to provide paid work, not welfare. Do communities really feel that minimum-wage workers — street sweepers, fast food workers, Walmart greeters — must make “positive contributions”? Visualize millions of minimum-wage workers spread all over the 50 states, each working in different jobs. Who will supervise each of them? What are their rights and who will protect their rights? What are the conditions for firing and rehiring them, and who will do the rehiring? It’s all very nebulous, as though these human “details” don’t really matter. 5. However, there should be room in the JG for time-limited training and education. While on-the-job training should be a part of every project, proposals can be solicited for specific training and basic education programs that will prepare workers for jobs in the JG — and, eventually, for work outside the JG. It is important that these are time-limited and that the training is for jobs that actually exist. Who will do the training? Who will train and supervise the trainers? Who will create and conduct the basic education programs? Why “time-limited” and what is the time? And this is the big one, visualize trying to figure out which jobs “actually exist” and are wanted by each trainee in America. 6. Project implementation and management will be decentralized. There should be diversity in the types of employments and employers —- to help ensure there are projects that appeal to workers and their communities. Projects should go through several layers of approval before implementation (local, state or regional, federal) and be evaluated at these levels once in progress. Decentralization helps to protect the program from whatever political winds emanate from the du jour occupant of the White House. Surely, this cannot be serious. It describes the largest bureaucracy in American history. It would dwarf the military. In of itself, it would eliminate unemployment in America. 7. Where possible, proposals should scale-up existing projects with proven track records and with adequate administrative capacity to add JG workers. Federal spending should not subsidize administrative expenses. Scale up existing projects? That’s like growing companies. Who in the U.S. bureaucracy would do that? How would these government funded businesses not compete with the private sector that is not blessed with federal funding? And if administration is not federally funded, who would do the administering? 8. The JG should not be used to subsidize the wages of workers employed by for-profit firms. This distorts markets and is not likely to generate substantial new employment. 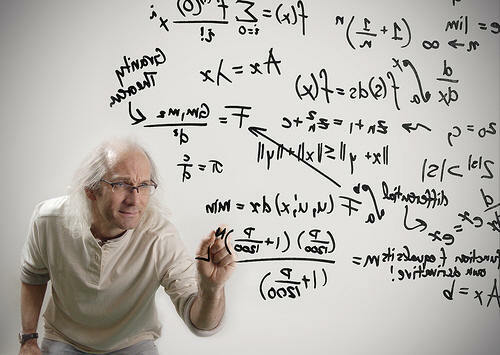 According to my formulas, JG should work if you’re buffer stock. Private business is already heavily subsidized by all levels of government. The JG should not be used as yet another corporate welfare program. However, private firms will benefit indirectly (and greatly) from the program as it provides a pool of hirable labor and as it contributes to economic growth that improves markets for firms. Are the workers employed by the government or by private industry. If by the government, that competes with private industry. If employed by a private industry, that subsidizes the wages of that industry. The notion that private industry is “heavily subsidized” by the government, is mysterious. Does being “subsidized” mean being a vendor? I wouldn’t call that a subsidy. Or does being subsidized mean receiving tax credits, i.e. being penalized less, which also is not a subsidy. 9. Direct employment by the federal government for the JG should not dominate the program. Most employment should be administered at the local level -— where the workers are, in the communities where they will work. So, it’s partly government workers and partly private workers. So who will hire for the government and in what departments? And who will be the employment agency for private jobs? Who will “administer” employment at the local level, in the thousands of communities across this vast nation? The JG program will probably need to create 15 million new jobs—six times greater than the number of federal employees today. The federal government is going to supervise 15 million new jobs all over America?? Who is qualified to do that? How will they do it? If all 15 million were to join the federal workforce, supervision of all these new workers would, alone, require hiring a large number of additional federal employees. This would be politically difficult even if the massive scaling-up of the federal workforce were administratively possible. “Politically difficult” is the understatement of the year. It would be functionally a disaster. The federal government’s role in the direct provision of jobs should be focused on providing projects to underserved communities and workers—after not-for-profits and state and local governments have employed as many as they can. “Underserved communities” are communities with few jobs. But Professor Wray wants the government to find most of the nonexistent jobs in the private sector. 10.Inclusivity and experimentation should be encouraged. The federal government should solicit proposals for novel approaches to job creation. For example, workers’ co-ops could be formed to propose projects in which wages, benefits, and limited materials costs would be covered by the federal government for a specified time period. I have no idea what this means, and I suspect Professor Wray is similarly at sea. 11.Consistent with point 10, project proposals put forth should not be summarily dismissed simply due to political bias. You’ll have to go to the original proposal to figure this one out. I can’t. 12. With decentralization, the types of projects permitted would take account of local laws and rules, including prevailing wage laws and union wage rates. With the JG paying $15 per hour, this means that in many states and localities, rules and laws will prohibit various types of work, including construction. In those areas, JG workers will not build infrastructure, for example. As if the job weren’t complicated enough, the federal bureaucrats would have to keep track of, and follow, “local laws and rules.” That should prove interesting. 13.Exceptions to the uniform wage should be considered, but this should not become the norm. For example, state or local governments might want to subsidize (at their own costs) the federally paid wage of $15 per hour in order to increase wages to some higher level. This might be because of high living costs locally. Or some JG employers might want to offer additional benefits (at their own cost) to workers, including housing allowances for high rent areas. And of course, the federal bureaucrats would be expected to allow for these exceptions when offering federal jobs in each locality. What could possibly go wrong. According to the the 2012 US Census Bureau there were 90,000 local governments of all types in the United States, each with different sets of laws that an employer must consider. Learning, keeping updated with, and following those myriad laws should be quite a challenge, something the JG folks have not even begun to consider. Bottom line: JG is a program created by economists who are hoping that “some devil” will be able to figure out the details because these business-ignorant folks don’t bother with such trifles. The sad part is the thousands of hours MMT people have devoted to the academic side of economics, without understanding business realities. I personally have spent 50 years managing and owning businesses. The MMT professors, some of whom know me, could have asked for my thoughts before wasting all those years on naivete jobs and “buffer stock,” rather than on human needs. I resent all those brilliant men and women, who are blind to the facts that jobs are not a human goal, and that no one wants to be buffer stock. These economists have focused on their charts, graphs, and mathematics, and have overlooked the personal element of their science. The human problem is not jobs; the problem is the income/wealth/power gap between the rich and the rest. Not only does JG not solve the gap problem, but it exacerbates the gap by enticing people and families into a minimum-pay existence. It would be expensive, requiring the federal government to pump many billions of stimulus dollars into the economy. It wouldn’t cost taxpayers one cent, because no federal spending requires or uses tax dollars. Otherwise, the Ten Steps to Prosperity (below) is a far better, and easier-to-implement program, than JG, and it would narrow that damn Gap. Every so seldom, I feel compelled to remind you of the #1 idiocy in economics, the daily, weekly, monthly, and annual warnings that the U.S. federal “debt” is a ticking time-bomb, ready to explode at any moment. This repeated forecast has been promulgated for at least the 78 years since 1940, with no end in sight. In any other science, a repeated failed prediction would be a strong signal that either the facts are wrong or misinterpreted, and its forecasters are wrongheaded. But, because mainstream economics is not a real science, but rather is akin to a religion, its asinine, proven-wrong forecasts are treated with solemn respect. Imagine the cult leader who tells his followers to climb the mountain and await the world’s end. 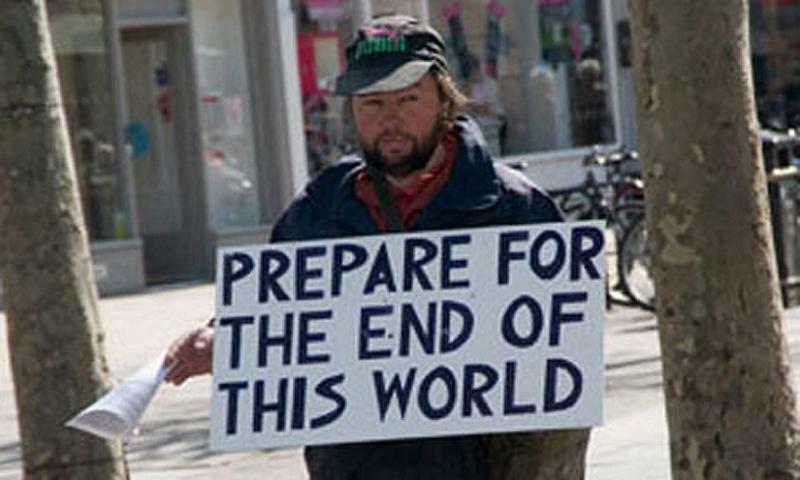 When the world fails to end, they climb back down, but still believe the cult leader’s next “world-is-ending” prophecy. By way of reminder, the debt in 1940 was $40 Billion, and today it is $16 Trillion. Surely, a gigantic 40,000% increase should have caused that debt bomb to explode. But no, the debt bomb ticks, perhaps the slowest time bomb in recorded history. And our cult leaders continue their false warnings. Waiting, waiting, waiting for that debt bomb to explode. Still waiting. By 1983: “The debt “probably will explode in the third quarter of 1984,” said Fred Napolitano, former president of the National Association of Home Builders. In 1985: “The federal deficit is ‘a ticking time bomb, and it’s about to blow up,’ U.S. Sen. Mitch McConnell. America’s Debt Bomb By Andrew Soergel, Senior Reporter, Feb. 16, 2018, Conservatives and deficit hawks are hurling criticism at Washington for deepening America’s debt hole. Paying debt servicing costs associated with what America owes is also tying up federal dollars that could be used elsewhere. The U.S. must pay interest on its outstanding debt, and, given the trillions and trillions of dollars that the country owes, those payments are becoming particularly expensive. The U.S. government is Monetarily Sovereign. It has the unlimited ability to create its own sovereign currency, the U.S. dollar. The U.S. government cannot run short of dollars. Federal deficit is necessary for economic growth, so the interest the government pays into the economy stimulates economic growth. Hall said interest costs would equal spending for Social Security, currently the largest federal program, by 2048. CBO has long warned that rising debt poses a risk to the economy, and Hall made the point again Tuesday. “The prospect of large and growing debt poses substantial risks for the nation and presents policymakers with significant challenges,” he said in the statement. It’s all a lie. Debt/GDP is one of economics’ more meaningless ratios. Debt/GDP does not indicate the federal government’s ability to pay its bills, nor does it indicate the likelihood of inflation, recession, depression, economic growth, stagflation or any other economic measure. Being meaningless, it naturally is a favorite of mainstream economists and the media. The Congressional Budget Office recently issued an alarming report on the nation’s debt outlook, which CQ senior budget reporter Paul M. Krawzak says should worry millennials. As a result of an unprecedented debt binge by Congress over the past year, the national debt is about to roar back to life as a pressing issue after years of hibernation. The debt didn’t go away. It has been growing by the second ever since, and the dominoes are about to start falling. These sums accelerate a coming fiscal freefall and will push the nation over a psychological barrier as soon as next year: trillion-dollar annual deficits. But those words never are used because unlike state and local governments, the federal government cannot run short of money. It can pay off any size financial obligation at any time, and despite the massive debt increase, through wars and depressions, the federal government never has failed to pay a debt. All of the above are not based on mere ignorance. Instead, they are part of an intentional plan to deceive you. The very rich .1%, who run America, do not want you of the 99.9% to know that the federal government has the ability to provide far more benefits for you than it currently does. They want you to believe falsely, that benefits are a burden on the government and require tax increases. In short, they want to convince you to vote against yourself. It has to do with Gap Psychology, which you can learn about, here. In brief, the very rich want to widen the Gap gap between them and you, and making false claims about the federal debt is their insidious method. It works. You have been suckered.